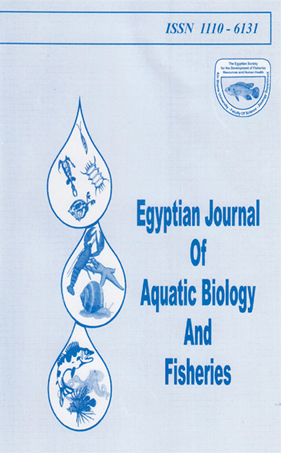 AN INVESTIGATION ON PATHOGENIC MICRO - ORGANISMS OF PARACENTROTUS LIVIDUS AND HOLOTHURIA POLII (ECHINODERMATA) MEDITERRANEAN SEA EGYPT. Microbiological studies of two echinoderms, the Sea Urchin, Paracentrotus lividus and the Sea cucumber, Holothuria polii from Abu-Qir region of Alexandria Mediterranean coast, were conducted during July 2005. The isolates revealed Gram-positive bacteria from the gonads of the sea urchin and two types of pathogenic fungi from its digestive tract. On the other hand, no isolates were detected from the sea cucumber. The effect of the isolated microorganisms was discussed.